Fall is gorgeous in Boston especially while the colorful leaves hang on to the branches for as long as they can. 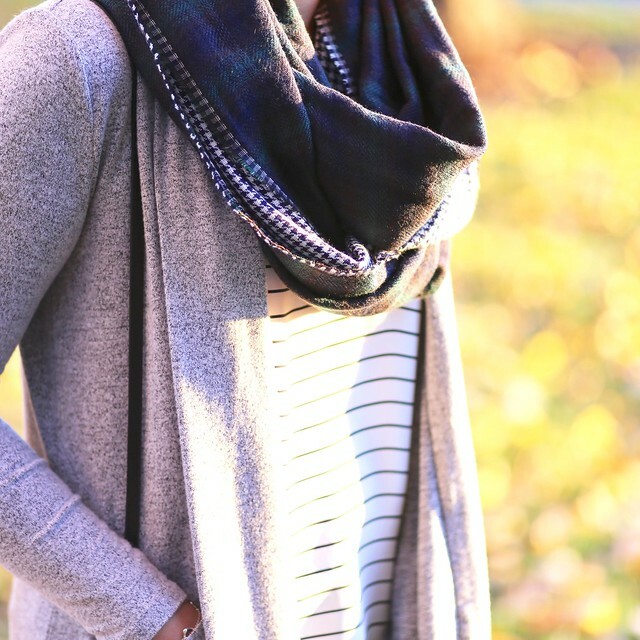 Scarves are one of my favorite accessories and I love the prints and textures of this new mixed plaid infinity scarf from LOFT. Above photos by my husband @justintsaiphotography. Please check out his website. If you purchased the $25 Breast Cancer Foundation donation card in October remember to use it in stores for an extra 25% off your purchase of $100+! It works on full-price promotional items plus discounted sale items for even further savings through November 15th. 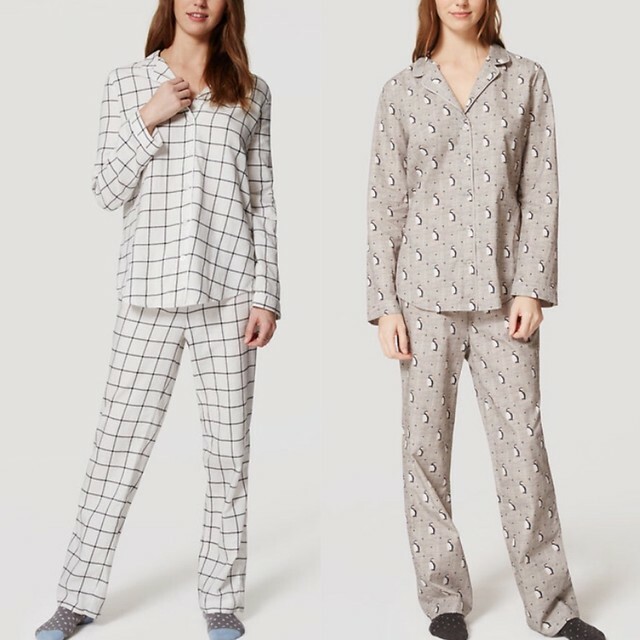 On this note, I was trying my best to only make purchases in stores but I ordered the two pajama sets below in XXS regular since I loved the starry pajama set (seen here) from last year so much. Last year the pajamas sold out quickly during the holiday season since they’re a great gift idea. I also ordered this Lou & Grey cardigan and sweater both in SP. Sizing: Last year’s version ran about one size bigger. 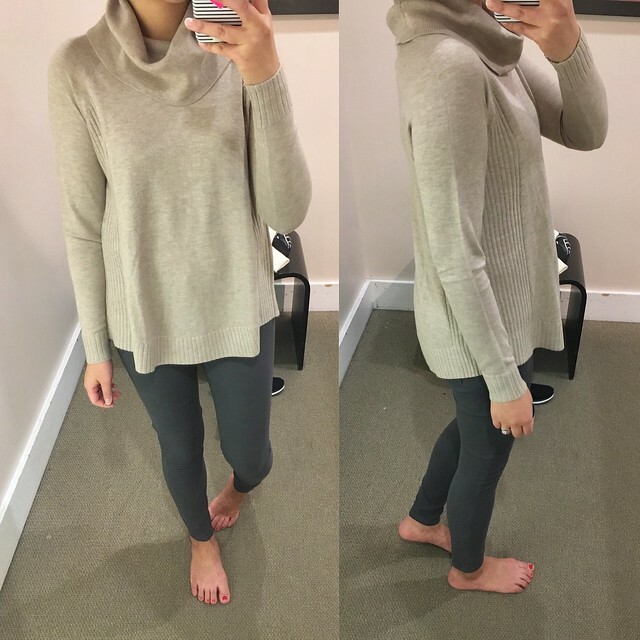 I exchanged size MP for size XSP in this cowl tunic sweater that I purchased last weekend. I quickly tried it on just to double check the fit. This sweater has a relaxed fit in my usual size XSP. As I noted previously, you may want to size down for a more fitted look. Next, I tried on this adorable llama sweater recommended by Su. Size S was very loose on me throughout the body and I thought that XS regular would be a better fit. When I later chatted with Su, she confirmed that she did purchase size XS regular in store. I didn’t purchase it yet since I was holding off for a better sale plus I don’t usually buy animal print sweaters but this one is a close contender on my wishlist. This sweater is intended to have a loose fit and it sort of reminds me of the relaxed v-neck sweater I loved from last year. 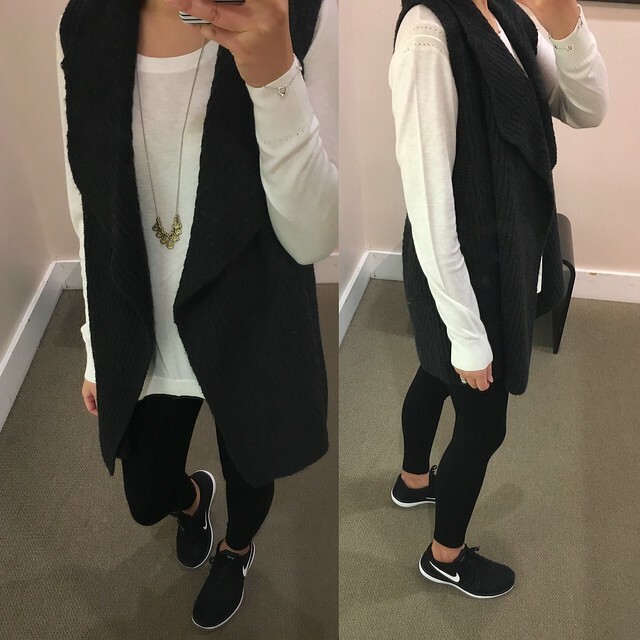 I found size XS to try in this ribbed sweater vest and it’s a better fit on me than size S which I own in the oatmeal color (review here). 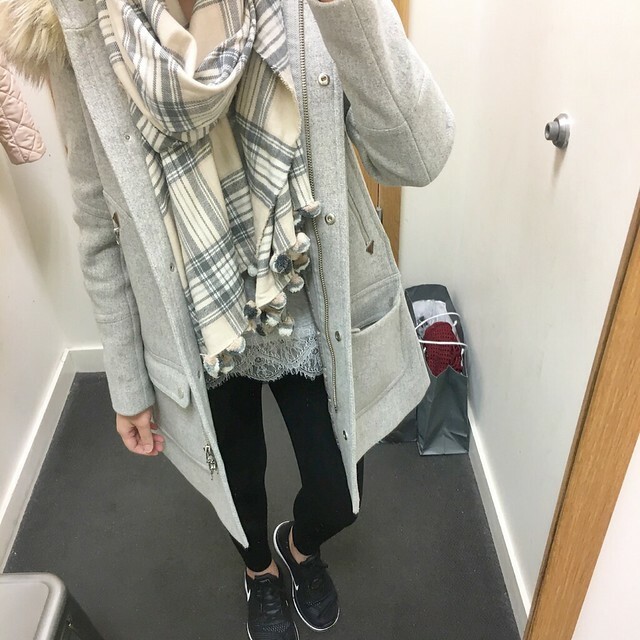 It’s runs true to size and it’s the perfect layering piece over anything from tops to dresses as well as under your winter jacket. 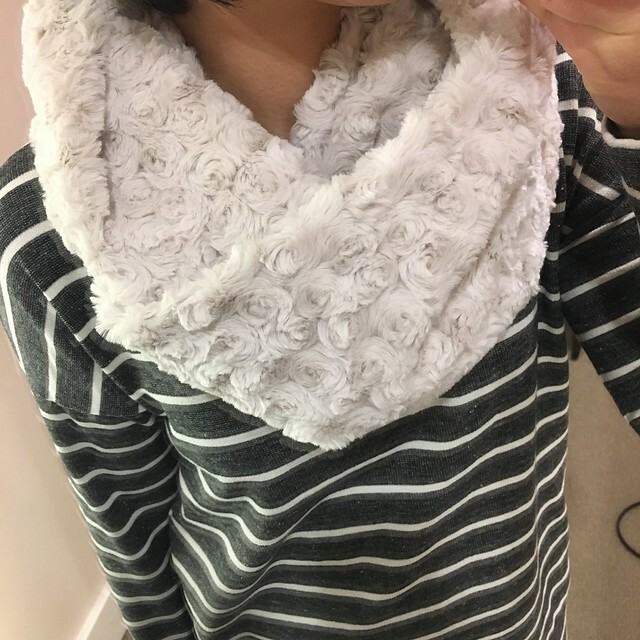 I couldn’t get over how soft this faux fur scarf was so I tried it on just for fun. I adore the color and the little rosettes for an extra feminine texture. I stopped by J.Crew Factory and spotted this plaid pom-pom scarf (now $24.50) which matches my coat perfectly. I love the larger size since it can also be worn as a shawl. It comes in two other prints which are currently $19.50 online. I haven’t had any issues with the soft pom poms at the ends but then again I’ve only had it for a week. 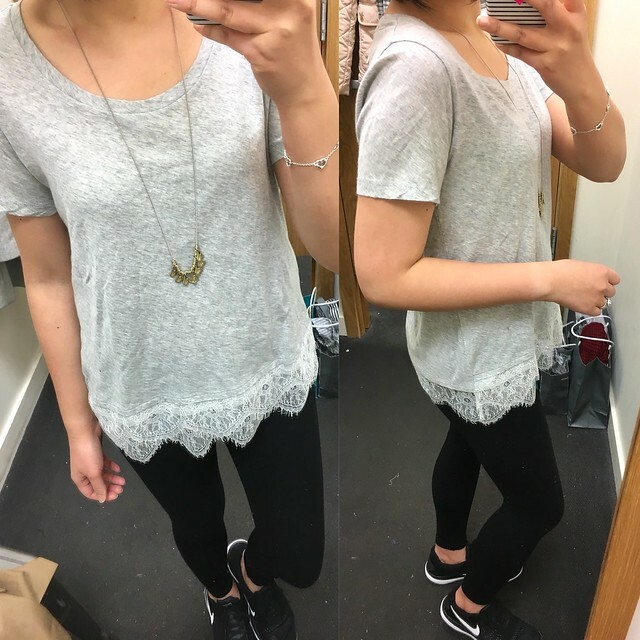 I also tried on this pretty lace hem t-shirt but after trying on size S I’m pretty sure I need it in XS. I also love it in the striped version here. It’s a petite friendly length so it may be on the shorter size if you’re taller (for reference, I’m 5’2 1/4″). 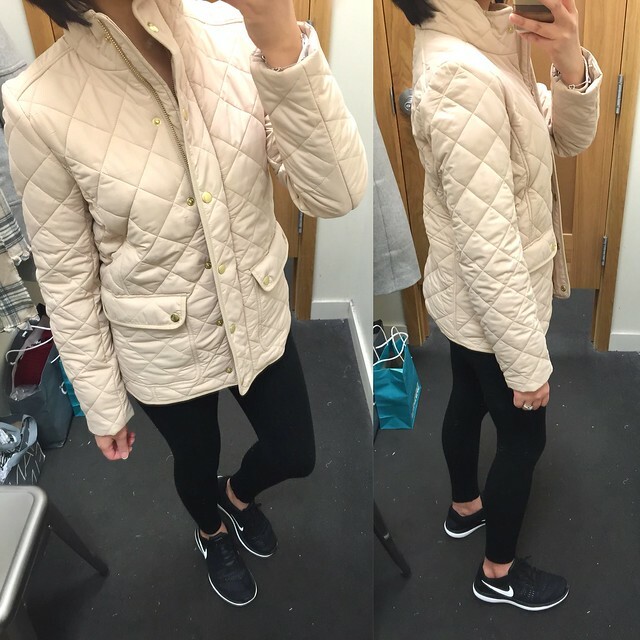 Lastly, I tried on this quilted jacket since it reminds me of a Burberry quilted jacket and it was at a good price point. It runs true to size but closer to petite sizing. Size XS regular fits similar to XS petite at LOFT. The shoulders look boxy on me and there’s no belt detail or the ability to cinch it in at the waist to make the overall fit more flattering. This jacket has a boxy, cropped fit so it will be shorter than expected for taller ladies. J.Crew Factory is offering an extra 20% off $100+ or an extra 25% off +125+. Use code CHOOSESALE. Sale ends tonight at 11:59PM ET. 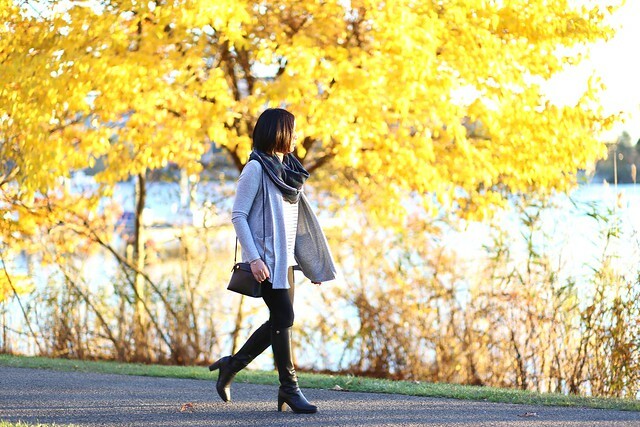 I’m eying this quilted vest as well as the ever popular herringbone print since I don’t own any J.Crew vests yet. This resin-coated twill jacket looks like a classic but I’d have to wait until spring or a warmer fall day to wear it.